Keep track of every single job you applied for, the company name, application date, and which resume you used. This will help you remember which job you applied for when the company calls you. Staying organized is one of the greatest challenges during a job search. You can view all of the jobs that you applied to from the ‘My Account’ tab. Access ‘Jobs Applied To’ under ‘Resume and Profile Management’. You can see the date that you applied for the job, which resume you submitted for each job, the current status of the job, etc. You can also remove jobs from this list. While you can apply for jobs without creating an account, this feature is only available when you create an account on this website. Some employers ask you to apply for the job on their company website. 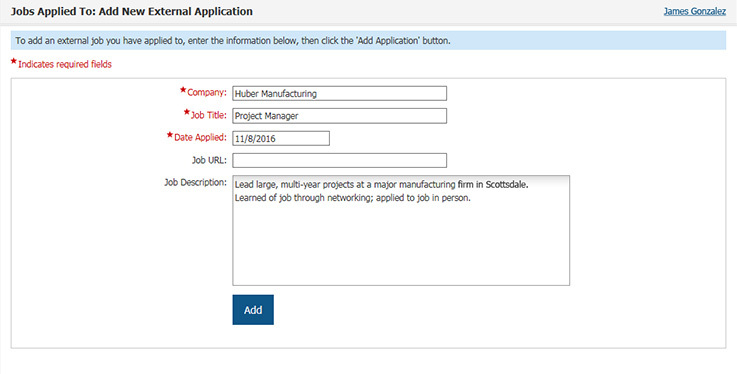 Clicking on ‘Apply on Company Website’ will add the job to your ‘Jobs Applied To’, although we are not able to determine if you actually applied for the job. We recommend that you stay organized and delete any jobs from this list immediately if you decide not to apply after being redirected to the employer’s website. You can also manage your job search by including jobs you have applied to that you did not find on this employment website. You can enter jobs from other websites or offline by clicking ‘Add External Job Application’.